The city of Cassis celebrates the harvest and the stars ! 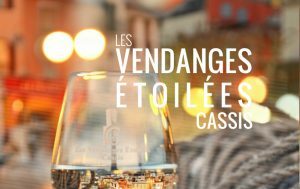 For the ninth year in a row, the Domaine Cassis Bodin will be present at the famous Vendanges étoilées event ! An opportunity for you to discover many star chefs who will share their recipes, as well as the wines of the appellation of Cassis. So rendez-vous this weekend, on the beautiful Port Cassidain to celebrate the end of the harvest and the beginning of the stars !